Veterans - Own a piece of the rapidly growing, holistic healthcare industry with HealthSource! Enjoy a profitable business that you can be proud of – change your life and serve your community with HealthSource. 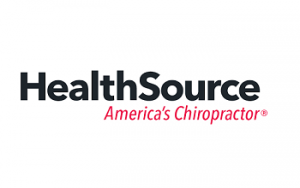 HealthSource is the nation’s leading franchise offering chiropractic, physical therapy, massage and nutrition services. By combining four, multi-billion dollar businesses under one roof HealthSource offers an unparalleled opportunity for Veterans passionate about running a profitable business and helping their community lead healthy, active lives. Our secret: By implementing proven business systems, training and marketing we are able to combine four, multi-billion dollar industries under one roof! HealthSource offers a terrific business opportunity for business professionals who want to be a part of the ever-growing Health & Wellness industry! Enjoy an extremely profitable business model that helps your community lead pain-free lives. When you become part of the HealthSource system you join a national brand. With more than 300 clinics from the East Coast to California, we are the largest primary care provider of Chiropractic and Wellness in the nation. As many as 40% of Veterans, over the age of 65, suffer from chronic pain. Help them regain their lives, free of opioids and surgery. Alternative healthcare is growing at a double-digit rate in the United States, and is currently a $58 billion industry. The opioid crisis and risks involved with surgery and painkillers, along with an aging population, make holistic alternative treatments such as spinal adjustments, massage and supplements popular with consumers. You don’t need to be a doctor to own a HealthSource clinic. There are a number of HealthSource clinic owners who became franchisees because of the high margins and stability of the holistic health category. With our connections with chiropractic schools, we can identify the best chiropractic doctors and other team members to work at your clinic. Ranked the Top overall newer franchise in America by Entrepreneur Magazine. Ranked #1 franchise in health services by Entrepreneur Magazine 6 years in a row. Ranked the 82nd Top Global Franchise by Entrepreneur Magazine. Ranked the 45th Fastest Growing Franchise in America. Ranked the fastest growing franchise in America by Franchise Times 2 years in a row. Ranked the #1 Emerging Business, Golden 30 Winner. To find out more about our opportunities, please request information below. 99% of our patients would refer a friend because they are so satisfied with their care. That’s because we allow our doctors to be doctors, removing billing, staffing, training and marketing issues through operational systems to make the clinic a business success. Customized Software System: HealthSource clinics have a distinct advantage in meeting the complicated billing and compliance requirements for chiropractic services through HSWorx Software. The latest version of this software is the result of knowledge gained from processing millions of transactions through hundreds of clinics over the past 12 years. Training Team Approach: It starts with HealthSource University, where you and your team will learn the details about how to efficiently and successfully operate your clinic. There are also online webinars and a content library, weekly training sessions, and regular category specialist presentations. Combined, you have collective knowledge of hundreds of chiropractors across the country. Integrated Marketing Campaigns: HealthSource is a brand recognized by consumers for delivering exceptional care. Quarterly promotional campaigns are developed to leverage this awareness and drive new and repeat appointments to clinics.